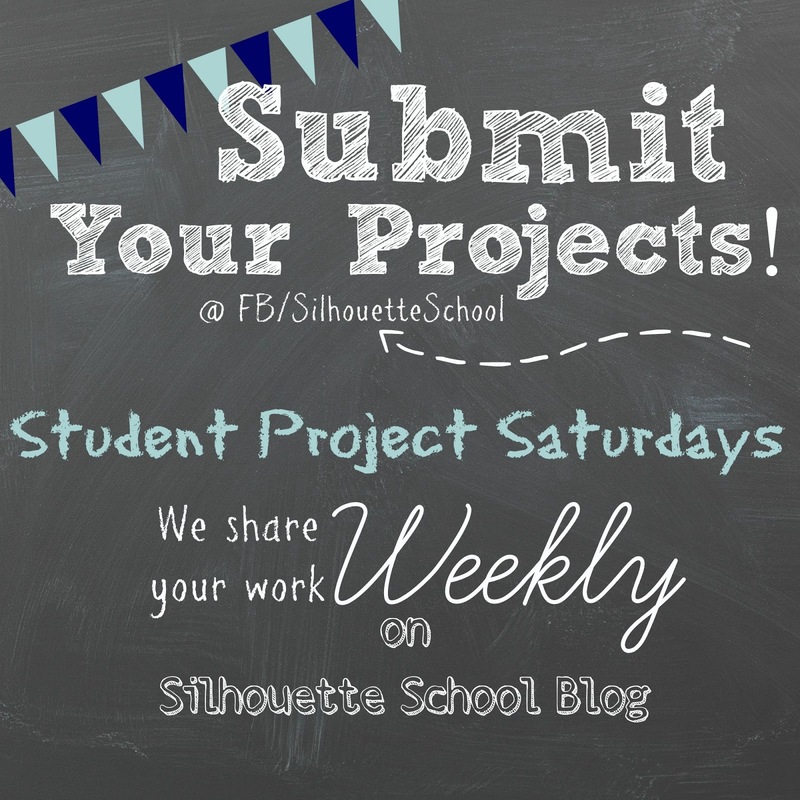 Welcome to the 9th Student Project Saturday where we share reader projects that have been submitted throughout the previous week on our Facebook page. April shared this beautiful spread with us. "One small part of what I did for my friend's teacher retirement breakfast with this great machine. I did the vinyl tree, apples, "Teach", "Love,"Inspire." In paper I did the banner, the tags on the apple cake pops, and the wraps on the napkins." Amy used Heat Transfer Vinyl to make these personalized tote bags. Lisa used alcohol ink on the clear light to change the color. McKette covered this adorable ampersand! Marla made this pretty baby burp rag. Nicol cut this snorkel photo prop. How clever. Katrine shared this very detailed and beautiful box with us. Marsha made this adorable card! Tina created this awesome birth announcement pillow. "Made a template first then painted on the fabric with fabric paint." Lindsay made this personalized tumbler and card. Very cute gift idea! Family tree by Ruth. I just adore it! Linda created this fun sign using vinyl! "I have a small space inside a larger home decor center. This is a painted canvas piece that I just put up for sale there." Kirsten made this adorable sign! "A poster for Nurse's Day from the 2nd graders. They all signed the band aids that make up the flowers. I'm VERY new to this and had a blast making it!!" Birthday T-shirt using HTV made by Susan. Ana designed this awesome scrapbook layout for a recent trip. Sonya made this adorable vinyl-decorated block and filled it with the graduates' favorite candy. Kelly created this fun pop up birthday card! Be sure to check out her blog Simply Kelly Designs! Kimberly shared these adorable flower pot gifts made for her daughter's teachers. Kendra shared this awesomeness with us! "My beautiful family command center! Menu board, calendars, shopping list, and family mission statement!" Peggy created this unique wedding table seating chart! How clever.